PBS’ winter/spring primetime schedule offers a number of exciting new beginnings, awaited returns and a few goodbyes: most notably to one of television’s most beloved dramas, “Downton Abbey” on MASTERPIECE, whose final season premieres January 3 (see a clip here). PBS welcomes the highly anticipated premiere of its Civil War drama MERCY STREET on January 17 (see a clip here), and the return of the MASTERPIECE hits “Sherlock” (date TBA), and the British mystery series “Grantchester” this spring. 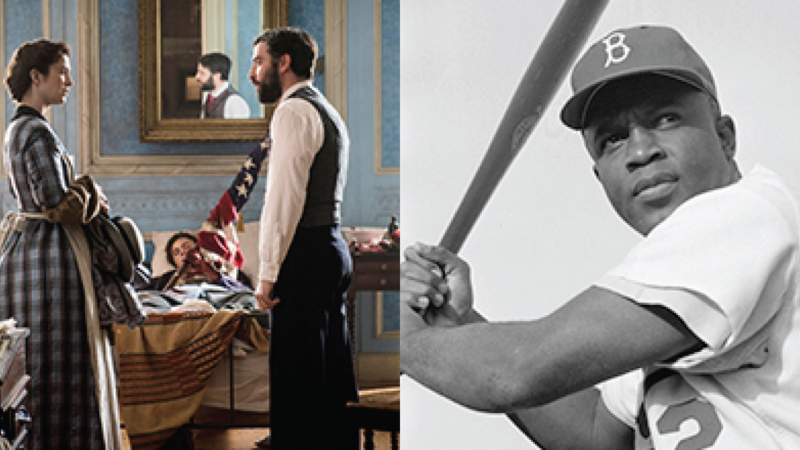 On April 11-12, America’s preeminent documentary filmmaker, Ken Burns’s, brings viewers the two-part film JACKIE ROBINSON, memorializing the life of the Major League Baseball legend — the first African-American player in the major leagues. Commemorating the centennial of “America’s best idea,” PBS presents an encore of Burns’s acclaimed THE NATIONAL PARKS series beginning April 25. Compelling historical films are highlighted by THE BLACK PANTHERS: VANGUARD OF THE REVOLUTION: INDEPENDENT LENS by award-winning filmmaker Stanley Nelson (see a clip here); and genealogical journeys with the third season of FINDING YOUR ROOTS, hosted by Henry Louis Gates, Jr., who also presents BLACK AMERICA SINCE MLK: AND STILL I RISE, which asks profound questions about the state of black America — and the nation as a whole. PBS offers expanded British drama on Sundays in early 2016, satisfying viewers who crave more of the genre. Spring marks the fifth season of CALL THE MIDWIFE on April 3 with stories of midwives and nuns in London’s East End, and the final season of MASTERPIECE “Mr. Selfridge” (March/April, dates TBA) with Jeremy Piven as the flamboyant American entrepreneur of London department store fame. Set in 1950s England, the second season of MASTERPIECE “Grantchester” (April/May, dates TBA) follows sleuths Sidney Chambers, played by James Norton (“Happy Valley”), and Inspector Geordie Keating, played by Robson Green (MASTERPIECE “Reckless”), as they solve murders. To honor Black History Month, and as part of its commitment to celebrating the diversity of America year-round, PBS’ lineup enriches viewers’ understanding of African-American history, culture and experience. THE BLACK PANTHERS: VANGUARD OF THE REVOLUTION: INDEPENDENT LENS on February 23 and INDEPENDENT LENS“A Ballerina’s Tale,” a documentary about Misty Copeland, the first African-American female principal dancer with the renowned American Ballet Theatre, on February 8. On January 15, PBS presents WILLIE NELSON: GERSHWIN PRIZE, a tribute to the 2015 recipient of the Library of Congress Gershwin Prize for Popular Song. Leading into Women’s History Month, AMERICAN MASTERS focuses on three notable women musicians – Carole King, Janis Joplin and Loretta Lynn – beginning February 19. PBS explores individual and American history on GENEALOGY ROADSHOW. The third season premieres May 17 with a diverse cast of participants from cities around the country, including Boston, Providence, Miami, Houston, Los Angeles and one city TBD. Henry Louis Gates, Jr. explores personal histories for a third season of FINDING YOUR ROOTS, which features Oscar-winner Julianne Moore, creator/writer/executive producer of “Scandal” and “Grey’s Anatomy” Shonda Rhimes, television stars Neil Patrick Harris and Julianna Marguiles and more, starting January 5. AMERICAN EXPERIENCE marks its return January 12 and recounts the stories behind iconic figures in American history, including President James Garfield and outlaws Bonnie and Clyde. PBS continues its commitment to independent film with provocative and moving stories from INDEPENDENT LENS, such as “Autism in Love,” conveying the relationships and challenges of four adults on the autism spectrum; “No Más Bebés (No More Babies),” which examines the case of Mexican-American women who claim they were coercively sterilized at a Los Angeles hospital in the late 1960s and 70s; and “In Football We Trust,” a behind-the-scenes look at the Polynesian pipeline to the NFL. PBS LearningMedia, a digital library of more than 100,000 resources for educators and students, will offer classrooms a host of educational resources, including video clips and interactives that inspire learning, from MERCY STREET, THE BLACK PANTHERS: VANGUARD OF THE REVOLUTION: INDEPENDENT LENS,FINDING YOUR ROOTS, JACKIE ROBINSON, BLACK AMERICA SINCE MLK: AND STILL I RISE, THE NINE MONTHS THAT MADE YOU (w.t. ), GENEALOGY ROADSHOW, NATURE and NOVA. The team will further support MERCY STREET by creating a series of webisodes and teacher support materials such as activities, discussion questions and teaching tips. Each webisode will focus on a topic related to the Civil War and tie it to contemporary issues, including government surveillance, innovations in medical technology and the roles of women during wartime.